Cervarix, a second vaccine for cervical cancer prevention. 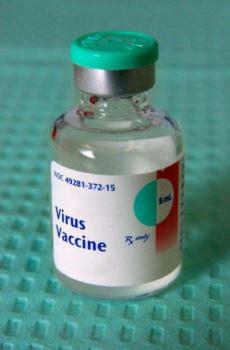 Results of the new vaccine, Cervarix, were recently published in Lancet. Report co-author Dr Rachel Skinner said the results were very encouraging. "We have found through this study that this vaccine is extremely effective in the prevention of pre-cancerous disease of the cervix due to infection with HPV types 16 and 18." Nearly 500,000 new cervical cancer victims each year. Cervical cancer is a major global health problem, with nearly 500,000 new cases occurring each year worldwide. It is the second most common cancer - and the third leading cause of cancer deaths - in women worldwide. Each year an estimated 270,000 women die from the disease, and it is the leading cancer killer of women in the developing world. Links to our ongoing discussions on cervical cancer vaccinations.